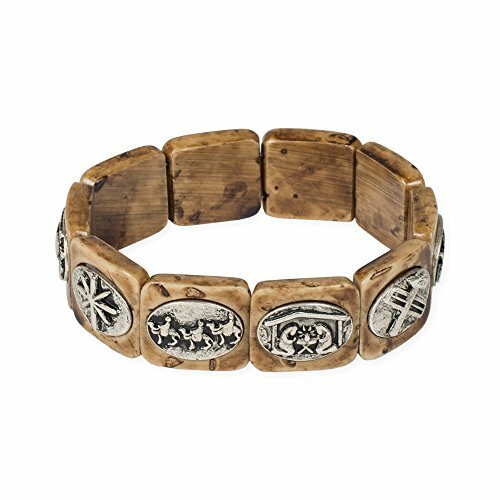 This intricately carved stretch bracelet proclaims the most beautiful story ever told: the story of Jesus. Each section on the bracelet will guide you through the story of his life and great love for all. Includes story card. Wooden beads with metal charms.